Set up an edge node network with cameras to notify a central server if any node calculates there to be a fire. Many people live in fire prone areas and there are also often millions of dollars of equipment in forests, and there are often miles of unwatched forest due to the limited resources given to the agencies responsible. 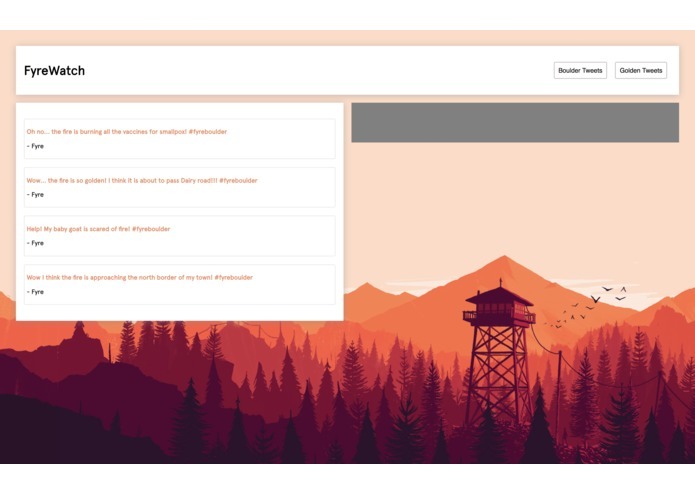 This dashboard will potentially give those agencies a dashboard to see what is going on when a fire is detected automatically by aggregating tweets sent to a certain hashtag. Also, people subscribed to our dashboard can see posts regarding fires in their area. 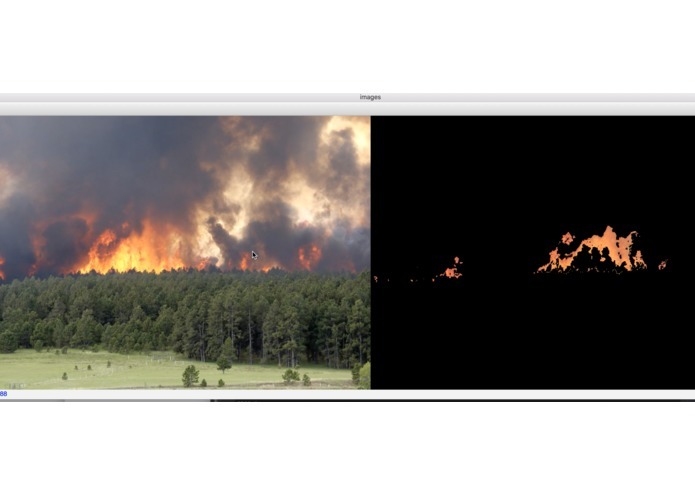 An edge node uses a camera and openCV to calculate whether there might be a fire. After deciding that there is, it sends a post request to a node server that can handle what to do next. Teamwork! Also just having fun making things.